Our mission is to leave a happy customer every time, here are just some of the nice things people have said about us. "Arrived promptly and carried out the work in a very professional manner explaining the process thoroughly. This was a chemical clean carried out in situ." "Work done in a very professional polite and manner." "Very punctual and efficient service." "Emil came to quote for the work and explained what would be done and how the work would be carried out. He explained why the work would be done over two days. A quote was provided and a date for starting work agreed. When the guys arrived they prepared both rooms meticulously and made sure that nothing could be damaged. The work was duly carried out and we were astonished at the result, our kitchen looks like new. We will have Cleaning Bros back and would have no hesitation in recommending them." "The work was carried out to a very good and high standard." "Excellent! Am delighted with the results and would highly recommend Emil." "They came early and gave professional work, I'm very happy with their work, I recommend them." "The standard of work was excellent and I would recommend this company to anyone who wanted to have this service." "It was very professional approach and were pleased with the final results." "Lovely helpful guys that were accommodating, personable and the standard of work was fantastic"
"The cleaning of the carpets and sofas were very good and the service provided was friendly and helpful. I wouldn't hesitate to recommend Cleaning Bros to others." "Very good work, professional and efficient. Highly recommend." "They were punctual efficient and effective with great attention to detail en the clearing"
"Done a very professional job. I am very satisfied with the standard of work." "Very pleased with the service provided and would use again"
"Helpful and professional, good finish of the cleaning." "Cleaning Bros were very professional and did a fantastic job on our tiled floors. They came in at short notice to clean the floors after our building work finished to enable us to move back in following a flood. They were very polite and courteous, and went above and beyond what we were expecting. We were very pleased with the results, as our tiles have been given a new lease of life. Thank you Cleaning Bros!" "Very efficient, pleased with result." "This is the second time that I have employed this company and I have been very pleased with the level of service received. The operator, Emil and his co-worker were very tidy, efficient and pleasant and I have already recommended them to friends." "Prompt, clean, polite and good job." "At the end of job, my tired leather suite looked nearly new and the mend was virtually invisible. It's nice not to stick to chairs and leave fibres behind." "Very happy with the service provided, they were professional and efficient. Good communication and very courteous." "Stain wasn't completely removed but advised this might be case. Happy with service - polite and good to deal with." "Carpets came up great and I wouldn't hesitate to use Cleaning Bros again. Emil is great - friendly, polite and very efficient. Highly recommended." "Emil did a great job cleaning our living room carpet. He spent nearly 3 hours getting out all of the stains." "Could not recommend highly enough." "Very good, very polite, giving good information." "A very Professional approach friendly polite and accommodating a first rate clean"
"Excellent, arrived on time, worked very well and left everything in order." "Excellent Professional and efficient service as always would highly recommend email is a great reyou and cares abaut the service he is priding"
"Excellent service, really pleased ." "They were courteous, accommodating and professional- came across as genuine people from Bulgaria wanting to work and earn." "Very good professional service. Pleased with results , would use again and recommend." "Very good, clean and tidy." "Came and discussed work and give quotation in advance. Work undertaken to high quality with consideration to existing furniture." "The carpet was cleaned very well. The job was done efficiently." "Punctual reliable, excellent job. Extremely polite and courteous." 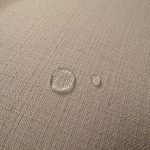 "Fabulous service, very accommodating, carpets look like new. Very pleased and will use again." "Cleaning brothers provided an excellent service. Sofas cleaned to a very high standard." "Very efficient service, friendly guys, would thoroughly recommend." "I could not be more happy with the service or the result, or the company." "Very professional, on time, good price. Thank you." "Emil has cleaned carpets and suites five times now. Always a first class job." "Extremely pleased with this service. Would definitely recommend to other people. Very clean and tidy workmanship." "Very good and prompt service. Very clean job and respectful of our property." "Good, reliable service. Very polite and professional." "Very good, professional, excellent job, on time, reliable." Very thorough cleaning and very courteous. I would recommend this company to friends. "The service was top quality and extremely courteous too. So happy with the results. Highly recommended." "Pleased with all cleaning service." "Very thorough and quick, no marks on polished floors. Very pleasant and clean." "Very professional. Gave very specific instructions before even we booked him. Can see massive difference after cleaning has been done." "Very efficient, reliable and courteous. Very pleased with the results." some miracle given the stains etc. You worked so hard until you reached perfection! It is a pleasure to come home and open the door. Everyone who has come has remarked on how great my flat looks now. Thank you is not enough and you deserve more! Emil, I cannot thank you adequately for the splendid job you did on my carpet. It looks brand new and it is some miracle given the stains etc. You worked so hard until you reached perfection! It is a pleasure to come home and open the door. Everyone who has come has remarked on how great my flat looks now. Thank you is not enough and you deserve more! "Very efficient, all equipment spot on, very clean and polite worker." "Job very well done, hard working, tidy, a very pleasant person. Charged the given price, well done." "Email provided, excellent service, he is very good and we would not use anyone else." "Emil was efficient, clean and respectful of our home. I would thoroughly recommend them and definitely use Cleaning Bros again." "Excellent service, would recommend this company, man was very nice and polite." "Was polite and professional, extremely hard working. I would have no hesitation in recommending this company." "Very professional service, polite, good workmanship. Would recommend." "Very professional service and great end result." "The rug looks lovely and Emil was very careful and thorough." "This is a truly professional company! Emil always completes the task efficiently he has high quality equipment and cleaning products. The grout in my tiles was very grubby and the tiles had lime scale water marks, he worked really hard to remove it all and they are gleaming. I usually just have carpet cleaning, I shall now add cleaning of my tiles to my regular cleaning programme. I cannot recommend Cleaning Bros. Highly enough." Excellent work. Very good results. Will use Emil again. "An excellent service at a sensible price. Highly recommended." "Very happy with this service." "Very helpful with the service. Very tidy, polite and professional. Would recommend this company." "Very professional, punctual and good quality job done." 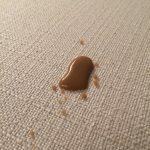 "Came round at very short notice to remove a carpet stain - went out of their way to fit in the appointment. Did a very good and highly professional job. Went the extra mile to provide good service. Would recommend." "Emil is very professional, good at the job he is doing." "The carpets now look as clean as day installed, except for one paint spot impossible to remove and I stain also. This is third time I have used this contractor." "Cleaning Bros were efficient and clear in their explanations and communications. Very professional and gave me great confidence." "Very pleased with end result." "Excellent service. I would recommend." "Charming, friendly and efficient good result." "Very informative when quoting, job was completed to a high standard, he was a pleasure to deal with." "Very happy. Excellent service. Couldn't be better cleaned." "Quality service from a professional and very pleasant company. Highly recommend." "Carpets beautifully cleaned. Emil worked hard all day." I would recommend this company. Emil was very professional in his work. I am very satisfied with the work he did. Good job. Results were well above expectations! Always reliable. Cleaning Bros do a very professional job everything they come!! Absolutely first class. I would recommend this company. We are pleased with the work and efficiency of the company, have used for 3 years, friendly as well. The Cleaning Bros team carried out some impeccable work in a timely manner. Very thorough and professional service. Friendly too. I would recommend this company. Thank you for such a professional and honest service, would not hesitate to use this firm again and very happy to recommend to friends. Copyright 2018 Cleaning Bros Ltd.